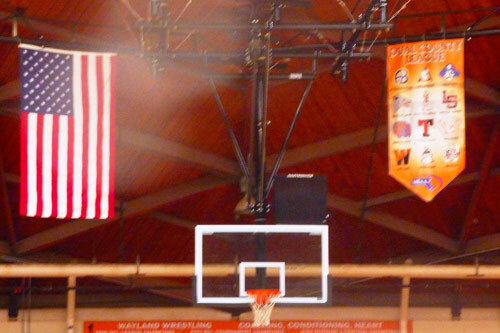 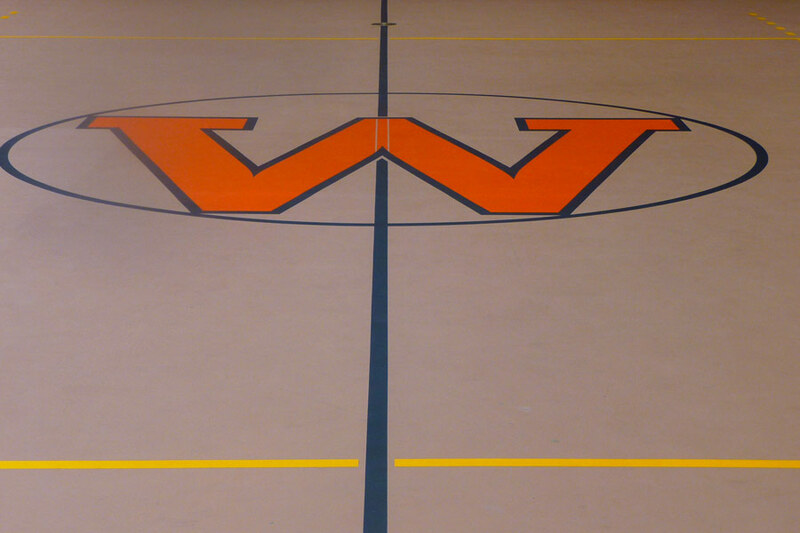 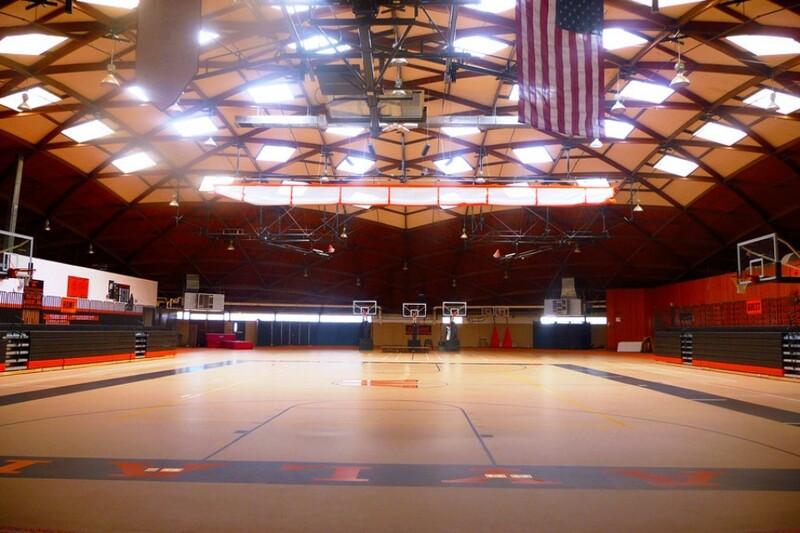 BWK was selected by Wayland High School to modernize and update their sports field house. 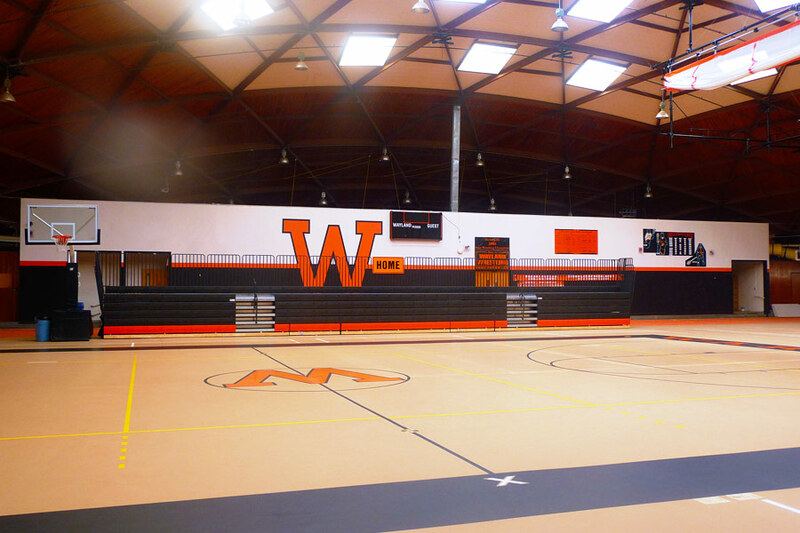 The renovation entailed a complete makeover of the athletic floor, surrounding indoor track and spectator seating. 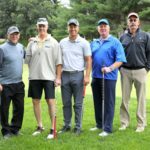 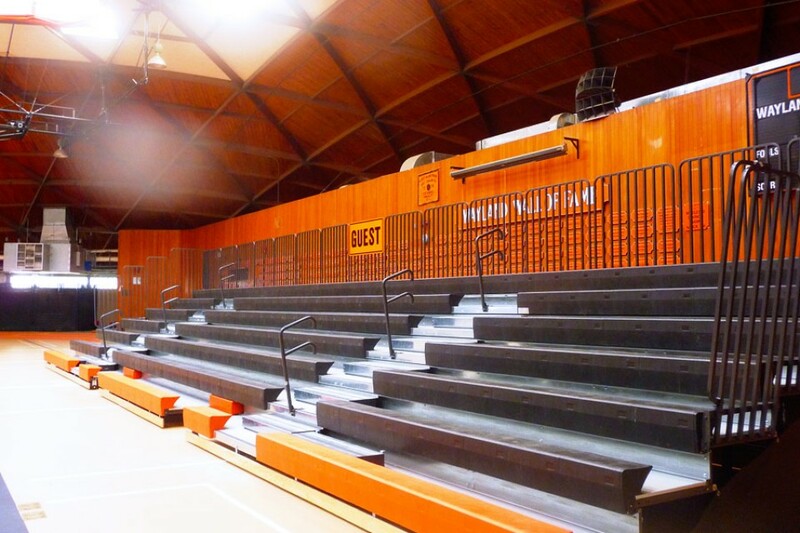 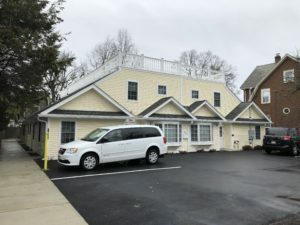 The existing hardwood floor was replaced with a new synthetic material, the surrounding track was restored and a state of the art bleacher system was installed to provide a comfortable fan friendly atmosphere for the spectators. 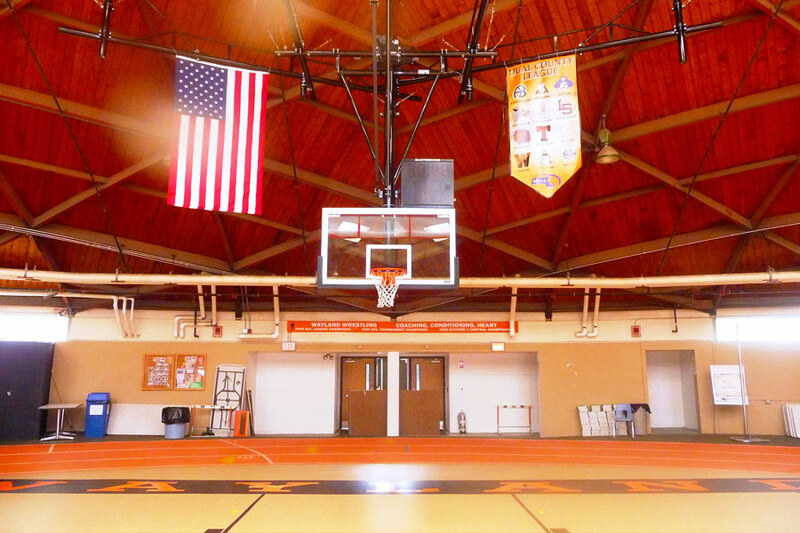 The installation of three retractable ceiling-hung basketball backstops highlighted the project, creating a multi use athletic facility for the students and community to enjoy.